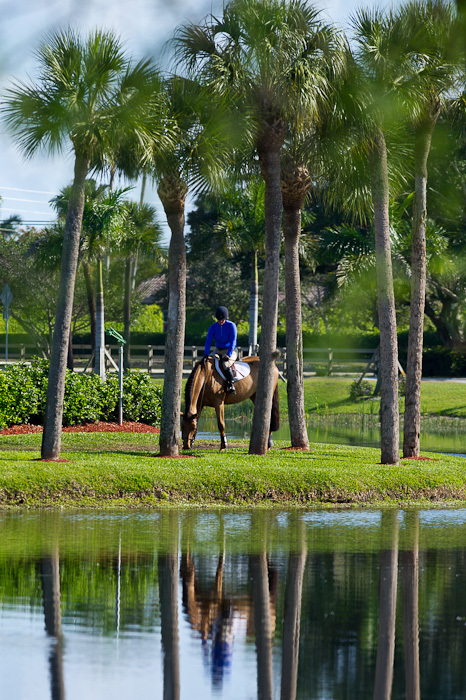 Today I traveled to Florida for World Championship Hunter Rider week during the FTI Consulting Winter Equestrian Festival circuit. It was a long travel day, which began at 4 a.m. from my home in Virginia and finally concluded at 4 p.m. in Wellington. Thankfully, I was rewarded for my perseverance with beautiful weather and a lovely evening seeing old friends and meeting a few new ones. I always enjoy this annual winter break, watching many of the best show hunters in the country competing under the lights and palm trees on Saturday night in the WCHR Hunter Classic Spectacular. And, for the next few days I’ll roam around the show grounds photographing equine and human athletes, working on images for upcoming articles and simply enjoying my job as an equine photographer. We often read about the world’s worst jobs…………you truly have the BEST!!! It’s great that you can combine your passion for horses and photography into your profession!